Syed Khan has 35 years of construction engineering and management in USA and internationally. 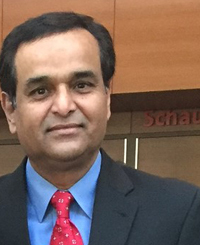 AS Director Design Build Services and Special Projects, Syed is overseeing several construction management projects and doing business development for CM services in Maryland, Washington DC and Northern Virginia. Previously, he worked as Area Manager and was responsible for overseeing design management, construction contract procurement, construction management, project handing over, overseeing the defect liability period, and final handing over of eighty road and drainage projects. Syed has also worked as Deputy Director for Yas Island Development Program where he was responsible for the development of Infrastructure projects at Yas Island. In the Metro Washington area, Syed has managed the construction of four interstate projects; two I95 High Occupancy Vehicle (HOV) Widening Projects in Virginia, I66 Widening project in Virginia and I395Reconstruction project in Washington DC. Syed also has extensive airport construction experience that includes both airside and landside facilities at the Ronald Reagan Airport in Washington DC, Abu Dhabi International Airport and Karachi International Airport. Michael Pruitt-Director of Project Controls-Project Controls. Mr. Pruitt’s experience embodies program development, implementation of strategic planning and administration in Construction Project Management, Project Controls, as well as Construction Inspection services. 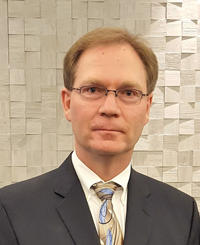 Prior to starting at CES, Mr. Pruitt for eight (8) years served as the Assistant District Project Controls Manager for VDOT’s Northern Virginia District. Mr. Pruitt has a Bachelors in Geological Sciences, Masters in Business Administration and his credentials include Project Management Professional (PMP), Planning and Scheduling Specialist (PSP), Certified Construction Manager (CCM) and Design Build Institute of America (DBIA) certified. Mr. Pruitt has twenty plus years of experience with Design-Build and Design-Bid-Build construction. Scott joined CES in April 2016 and helped establish our Construction Division. As Director of Construction, Scott leads our “at risk” contracting team overseeing the day to day operations of our estimating, project management, and field operations. Scott has worked for heavy highway and site development contractors throughout his career. 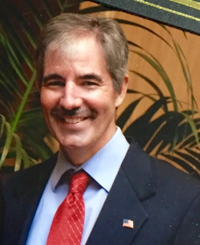 After graduating from VMI in 1986, Scott started his career at Moore Brothers Company, Inc. where he worked for 20 years and was Vice President of Construction. Prior to joining CES Scott worked at General Excavation, Inc. for 10 years where he was Vice President. Scott has been involved with delivering many successful projects for numerous owners and agencies including VDOT, the City of Charlottesville, the Town of Leesburg, the City of Winchester, the Town of Culpeper, and Loudoun County. As Director of Construction, Scott is involved in every project CES works on and he is committed to our motto of “Providing Professional, Reliable, High Quality Service”. Please contact Scott directly for pricing or assistance with any of your project needs related to Overhead Sign Structures; Ground Mounted Signs; Interstate, Roadway or Parking Lot Lighting; ITS; or Traffic Signals. Ron Casey worked with a variety of contractors and consultants for over 20 years before being named Director of Construction Management Services for CES Consulting LLC in 2014. His nationwide project management experience includes soft ground tunneling (TBM and NATM), bridge construction and repair (conventional and post-tensioned beam type as well as cable stayed), construction and repair of conventional and post-tensioned mid-rise structures (including external PT and CFRP upgrades), utility installation and repair, and various roadway construction and repair. With CES, he manages CEI transportation resources to assure client satisfaction. 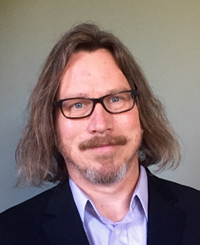 Ron received his bachelor’s degree in Civil Engineering from the State University of New York, College of Environmental Science and Forestry in 1993. 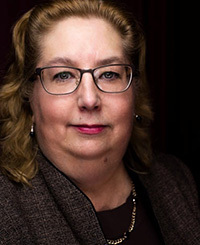 Julie Perkoski joined CES Consulting, LLC in 2014 and has over 30 years of experience of combined construction management, quality assurance, project controls and managing ITS construction projects Virginia. She has served as Project Manager, Quality Control Manager and Construction Services Engineer for various design, construction, Design Build, P3 and ITS projects with clients including VDOT and local cities and counties. She received a Bachelor of Architectural Engineering degree from Penn State University in 1985 and has been a licensed civil engineer in Virginia since 1995. Mr. Bains has 8 years of progressively more responsible experience in major site and infrastructure improvements and heavy civil engineering projects in all phases of project scoping and planning, construction and project closeout. He joined CES in November 2015 and responsible for the growth of CES in federal market. Prior to joining CES, Mr. Bains served as the Project Engineer for U.S. Army Corps of Engineers (USACE) in the North Atlantic District for 7 years. He also deployed for civilian service as civil engineer to Kandahar Airfield Area Office, Engineering & Construction Division, during continuous combat operations in support of OPERATION ENDURING FREEDOM. 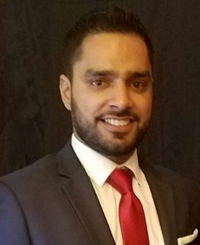 Mr. Bains graduated from George Mason University in 2009 with a degree in Civil, Environmental & Infrastructure Engineering. 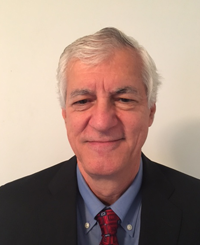 Mr. Andreou has over 37 years of experience in engineering design, infrastructure maintenance, construction management and inspection, and project controls. As the Project Controls Engineer for the Hampton Roads District, VDOT, was responsible for providing management, direction and support for approximately 40-50 projects per year with a value of over $500 million. Mr. Andreou analyzed, reported and successfully defended the District against substantial claims in front of the Commissioner, in mediation and in court proceedings. As the Operations Management Administrator for the City of Virginia Beach, he managed all Public Works Maintenance Operations for an Infrastructure with assets valued over $3.1billion. 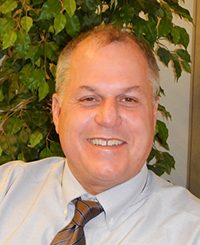 Mr. Andreou is a professional engineer with a BS in Civil Engineering Technology and a MBA in Business. Mr. Catterton has over 30 years of transportation QC/QA experience. He served 30 years for the Maryland State Highway Administration (SHA). In his final 6 years with SHA, Mr. Catterton served as the Asphalt Division Chief, leading the statewide field and laboratory operations to ensure the quality of asphalt pavements throughout the State of Maryland. Mr. Catterton also lead the reorganization and consolidation of SHA’s Office of Materials Technolgy, and served as Acting Director. Mr. Catterton’s private sector experience includes key roles on Quality Assurance Management (QAM) teams for projects in the Northeast Region, for a major DOT. He has also played integral roles in developing successful teaming agreements. Mr. Catterton will lead CES’s Maryland office, bringing the firm’s reputation for Professional and Reliable services to our current and future Maryland clients and business partners. 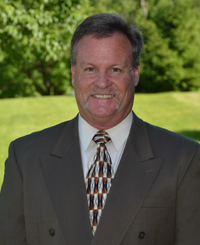 Mr. McLaughlin has over 24 years of progressive Utility coordination and management experience for various entities. He currently provides management support to the District’s utility construction field operations for the relocation efforts in the Northern Virginia District for VDOT. Matt is responsible for overall leadership and management of Utilities on all CES projects and establishes a Master Utility Relocation Plan to include of all of the relocated facilities using Radio Frequency Identification RFID/GPS technologies to create accurate as-built plans. Join our mailing list and keep upto date with the latest news. CES Consulting LLC ensures nondiscrimination and equal employment opportunity in all programs and activities in accordance with Title VI of the Civil Rights Act of 1964. If you need more information or special assistance for persons with disabilities, you may contact Human Resources at 571-933-8476. Persons with hearing-and speech-impairments can contact CES Consulting by using the Virginia Relay Service, a toll-free telecommunication device for the deaf (TDD.) Call 711 for TTY/TDD or use the website at www.varelay.org. If you need more information or special assistance regarding limited English proficiency, contact our office manager and they will be able to direct you to: 1) an individual within our company that speaks your language; 2) an outside service that can assist you in communicating with CES Consulting; or 3) you may also contact Human Resources at 571-933-8476.